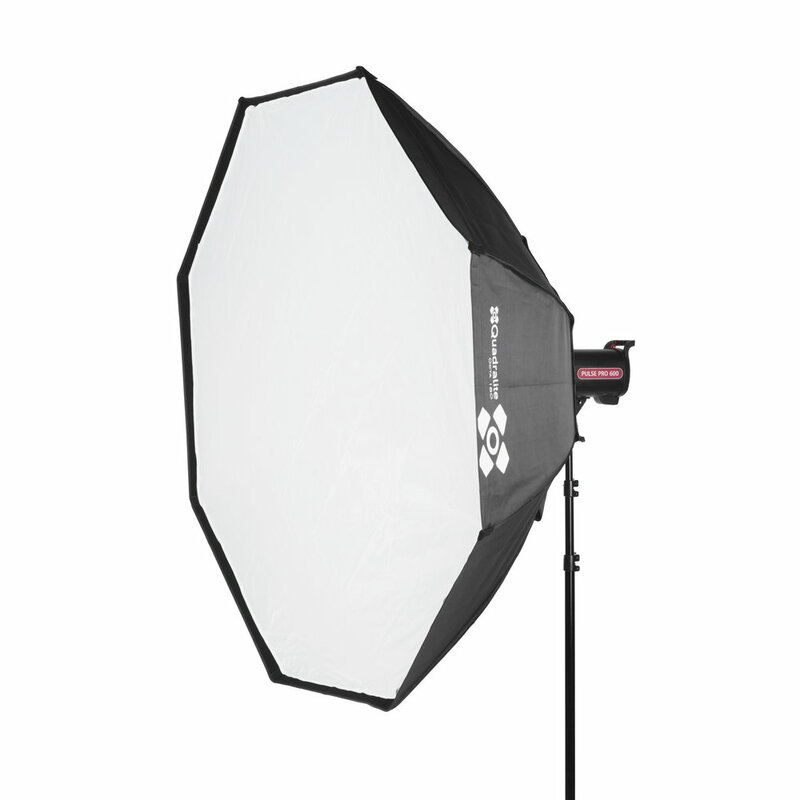 An octagonal softbox is generally used during portrait sessions as it adds a characteristic, really natural shiny reflection in the eye of a photo subject, and produces extremely soft and diffused lighting. 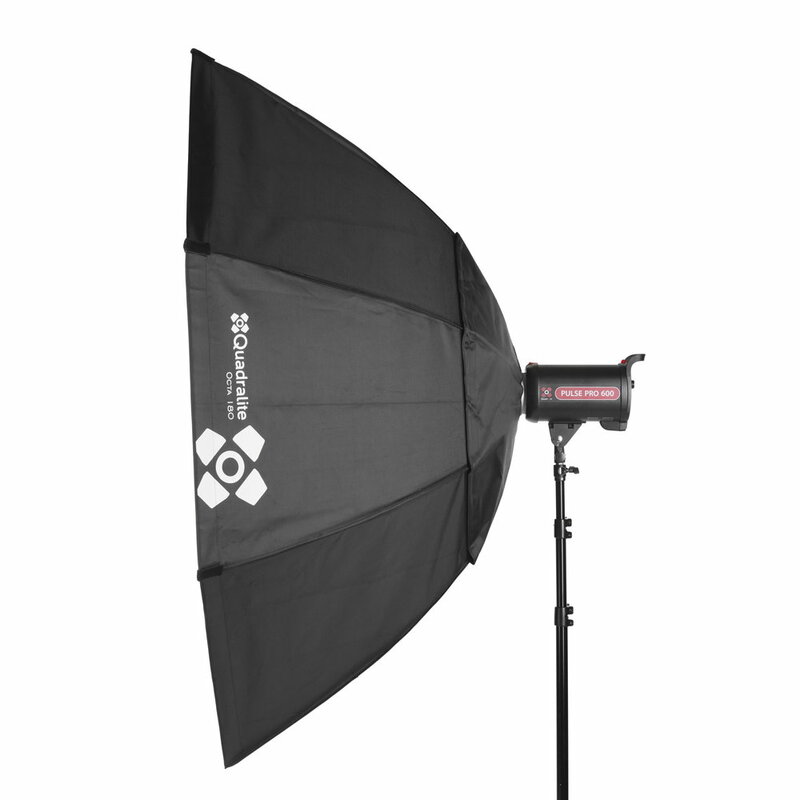 In addition to the main, front dispersive plane, the softbox also features an internal diffuser. This gives more even light distribution and unusual lighting softness. The front part houses a flange for fast assembly (Velcro mount) of a honeycomb. 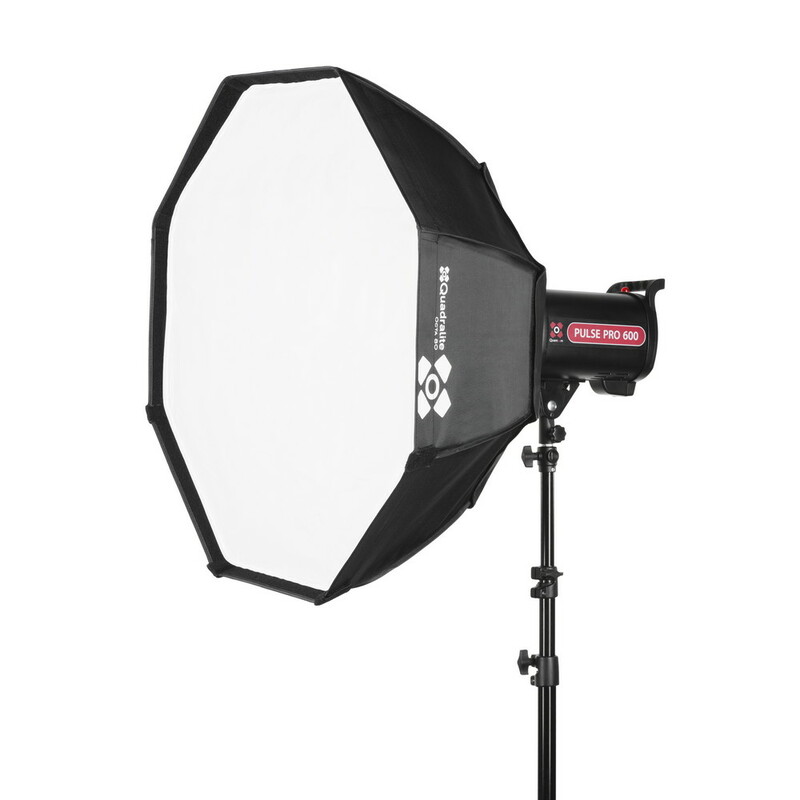 Structure of the mounting ring allows for trouble-free and seamless softbox rotation by 360 degrees. Framework is stengthened by four steel bars, which maintain external fabric's proper shape and tension. 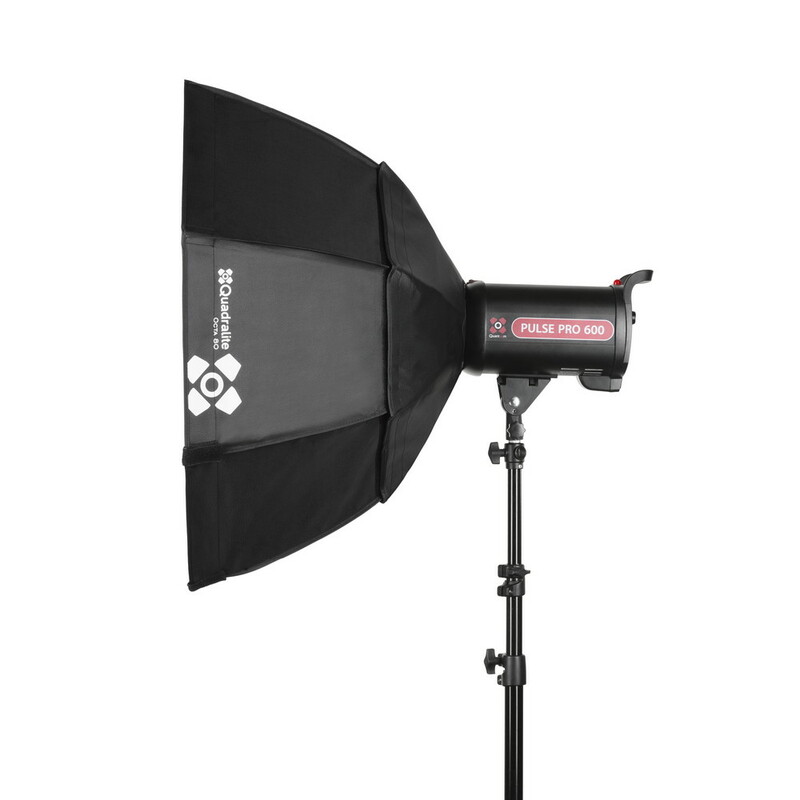 Softbox is easily assembled, and Bowens-type mount ensures that it may be used along with Quadralite flashes and similar products of other brands. A handy cover included in the kit.